Most of us are racing against ourselves. We are not going to win the race. We may not even place in our age group. Most of us are somewhere in the middle of the pack, and therefore the race is probably about meeting a personal time goal, or sometimes just finishing. This can create a problem, as if you are only racing against yourself you are the only one who can push you. I sometimes wonder if the top 3 runners have it easier, because they have the win to motivate them. Maybe even a prize purse. But even those top 3 runners have to race against themselves. Regardless of where you fall in the pack, a good race often comes down to mental toughness. You’ve probably heard the quote that your toughest competitor is the little voice inside your head telling you to quit. Oh so true. So how do you train yourself to be mentally tougher? 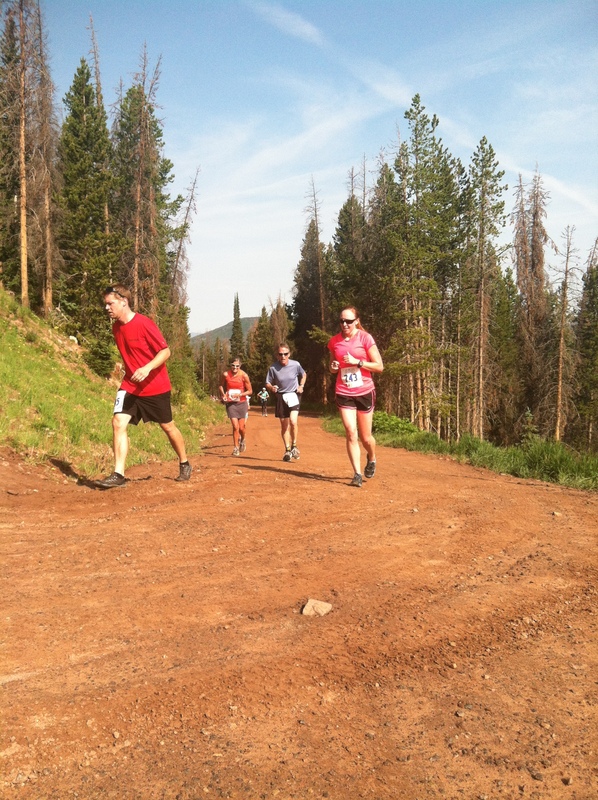 I had a not so stellar trail race recently in Vail. I went into it telling myself it was just a training run, but I guess I still expected to do better than I did. My legs felt like lead as soon as the trail started heading up. I can make a million excuses: my epic workouts earlier in the week meant that my legs were already tired. I started the race too fast. The 3 glasses of Sangria on the 4th of July didn’t exactly fit in to my usual pre-race hydration routine. But ultimately it came down to my mind. It was telling me to give up. To slow down. To stop altogether. To stop making my body hurt so bad. On that day I was not as mentally tough as I wanted to be. I gave in to my mind, and I slowed down. But on the other hand, in a way I did win that race against myself, because I didn’t let my brain stop my body. I kept going. I finished. And the view from the top was pretty sweet. In the end, I think that race helped build my mental toughness, because slow or not I pushed past the mental wall and kept going. Mental toughness is a popular and important concept in all sports. To help me address this crucial topic, I asked one of the most mentally tough athletes I know, my sister Kim Dobson, who just so happens to be the Pikes Peak Ascent female course record holder as well as the family record holder for longest time standing in a freezing river, for her advice on training and racing tough. [Side note: standing in a cold river or lake is also a great way to build mental toughness!] Below are her tips, interspersed with some quotes I find motivational, and hopefully you will too. – Have a specific goal for your event and a plan to achieve your goal. Keep your goal in mind during hard workouts. Each workout you conquer puts you one step closer to your goal. -Accept that it is going to hurt. Great accomplishments do not come without a price. Be willing to endure the pain. After all, it was you who set your goal! -It seems obvious, but when the going gets tough remind yourself that the suffering will end. The satisfaction of knowing you ran as smart and as strong as possible will far outweigh the temporary pain of a race or a workout. -Break the workout/race into thirds or fourths. Have a goal for each portion, which might include hitting a certain time, distance, or effort level. Set high, yet realistic targets. Gradually step up the intensity and effort level as you work through each portion. -Practice staying mentally tough during hard workouts. Train your mind to keep pushing your body beyond what you think is your limit. -Before a workout, remind yourself of your goal and how this particular run will put you closer to that goal. -Remember all of the hard work you have put towards your goal. The hours you spent training, mornings you woke up early to squeeze in workouts, the sacrifices you made, and the challenges you endured while training. Don’t give up now and waste all of your efforts. Now is the time to dig deeper than you have before to accomplish your goal. -Stay relaxed and confident before and during your event. It’s normal to feel excited and nervous, but feeling overly anxious will likely hinder your performance. -Recite a mantra that will keep you relaxed and engaged. Make it simple, three or four words that have meaning to you. -Have a plan, but also be ready to adapt to and push through unexpected challenges during your race. A lot can go wrong in a race. Set your sights on running excellence rather than running perfection. Train hard. Stay strong. Remember: you are capable of more than you know! 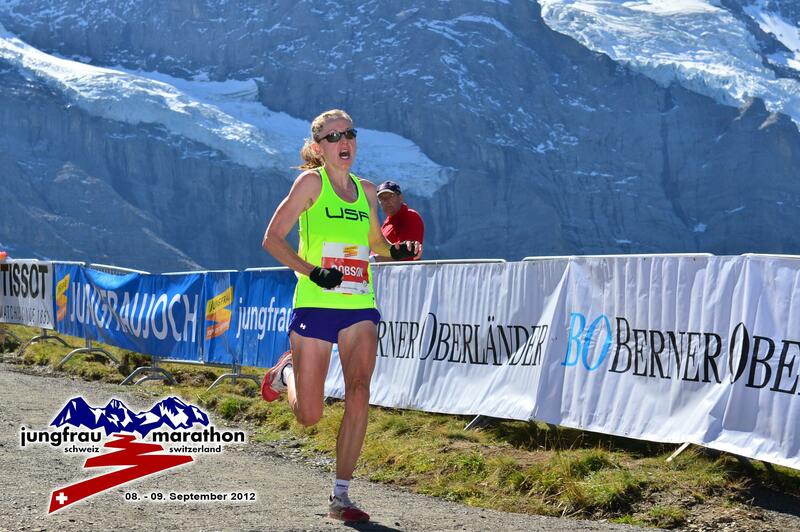 This entry was posted in Exercise/Training and tagged mental toughness, running. Bookmark the permalink.